The road to an initial public offering (IPO) can be long and arduous, and when not well planned and executed, subject to many missteps. Consider what happened recently to the Israeli biotech company, Vascular Biogenics (VBL Therapeutics). The company went public with an offering of 5.4 million shares. Less than a week later, the underwriters, Deutsche Bank and Wells Fargo Securities, LLC, terminated the offering when an existing shareholder did not fund payment for shares it previously agreed to purchase in the offering, according to a VBL Therapeutics press release. While VBL’s pullback is clearly a draconian scenario, other mistakes abound as companies move toward an IPO. 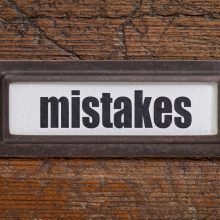 What are the most common mistakes on the path to an IPO? How can your company prevent them, and what can you do if you’re already in the thick of them? Our team of experts at Westwicke tackled these questions recently in a round-table discussion. Here are excerpts of the conversation. The most common mistake I see is companies focusing on “getting public” instead of “being public.” Pre-IPO companies have an opportunity to build relationships and establish processes that can form the foundation of a great financial communications program once they are public. However, this is often put on the back burner during the heightened level of activity around a public offering. Once the transaction is complete and your investment bankers are on to the next deal, companies are left with new constituencies — analysts, employee-owners, and other investors with whom they must communicate on a regular basis. Maintaining continuity and consistency in communications is critical to supporting a fair market valuation. Management teams need to put a plan in place that covers a 12 month cycle — and takes the company through the IPO process and through at least the first quarter or two as a public company. A good plan makes it possible to capture information on essentials like process, messaging, contacts, and events, with a goal of leveraging available resources and maintaining the highest level of consistency and continuity with all new constituencies. At Westwicke, we recommend creating a plan that combines reporting cycles, key events, product development milestones, and anticipated press releases, along with anticipated conference attendance and non-deal marketing. We also advise developing key messaging and a rich database, all of which lay the groundwork for expanding awareness in the aftermarket. The biggest mistake I see is when companies fail to realize the importance of pre-IPO Wall Street relationship building. Building bridges and relationships with Wall Street should be underway upon completion of the Series B or C rounds of venture financing, or at least one to two years ahead of an anticipated IPO. Many management teams undervalue how important this can be when it comes to picking the best underwriters for your deal, completing a well-received road show and placing shares with investors who care about and believe in your company. The first step is to identify sell-side analysts who cover companies in your primary therapeutic category or with similar technology. Meet with these analysts periodically and get to know them. Establish a track record with them. They may eventually write reports on your company, and helping them build a complete understanding and enthusiasm for what you are doing is a powerful force to harness. Start the process of meeting with bankers at the firms with the respected analysts you like, and see what develops. After this, start meeting with institutional investors. Participate in conferences or other events for private companies hosted by the banking firms you like. This gives you a chance to meet additional buy-side investors and members of the institutional sales team, equity capital markets, trading, and other functional areas of the banking firm. Also, tap into your board’s relationships for additional referrals to the Wall Street community. The strength of these Wall Street relationships will facilitate the entire IPO process, from the banker bake-off and syndicate selection, to the S-1 drafting, test-the-waters meetings, the IPO road show, and pricing and share allocation. The more you know on the Street, the better the outcome. Plenty of companies fail to build enough conservative assumptions into their guidance, and this can be a costly mistake. Taking your company public is an exciting and exhilarating process through which you dedicate significant time and energy ensuring its successful outcome. Sometimes the exuberance around the process of going through an IPO can cloud the clear thinking of a leadership team. When providing guidance and metrics to Wall Street, make sure the numbers you provide can be met and, preferably, exceeded over time. Not getting caught in this trap is fairly simple. Scrub your financial model hard and actually perform a stress test under multiple scenarios. That way, you can be confident that your assumptions are achievable. Also have a trusted outsider perform a stress test for further reinforcement that in six to 12 months from the successful completion of your IPO, the guidance you provided can and will be achieved. More than anything else, your reputation and credibility must be preserved when going through the IPO process. Too many companies miss their expectations two or three quarters post the pricing of the IPO. When this happens, management teams get placed in the penalty box by investors, and it is a difficult and long process to change investor sentiment. Build your trust and credibility with investors by providing Wall Street with realistic and credible guidance from your very first meeting with investors. A common mistake is not allocating enough time for test-the-waters meetings. There is typically a mad rush after filing the S-1 confidentially, resulting in too little time to finalize and rehearse the presentation. In addition, with the buy-side being busy and unavailable on certain dates, companies are not meeting with as many funds as they should. This causes them to miss out on valuable feedback from some important buy-side thought leaders. In this case, the solution is to be strategic and allocate necessary time from the beginning of the process. A good test-the-waters presentation and adequate rehearsal takes at least one week. Management also needs to allocate a few weeks to have meetings across various geographies, often multiple times to meet with as many thought leaders as possible. Lastly, companies need to be cognizant of earnings seasons, conferences, and busy IPO weeks. Not being prepared for “analyst day” and analyst interactions is one of the biggest mistakes I see. This includes not fully understanding what analyst expectations are, what questions to anticipate, and how to interact with existing publicly traded companies. Get to know the analysts, their coverage list of companies, their associates, and how they work with them. For example, does the associate do the modeling? Who makes the diligence calls? Be prepared, and know what your audiences expect on analyst day. Preparation involves sending materials like slides, clinical data, and other written materials in advance. Make sure everyone on your team remains consistent with messaging, and come to agreement on what information and operational metrics to include and exclude (including guidance and projections). Also figure out your management team members’ roles and interaction with analysts, and be sure not to let one person on your team dominate the conversation. Essentially, you need a game plan that lets you address your audiences with transparency, while exuding confidence. Work with advisors, bankers, and investor relations (IR) counsel to understand what works — and what doesn’t. Be very proactive. Not factoring in the impact of the IPO on the company’s financial projections is a common mistake with detrimental consequences. As analysts are modelling your business, make sure you fully communicate your expectations of changes to you financial statements as a result of the IPO. The most common impacts are public company costs, increased non-cash share-based compensation and the change in shares outstanding. In addition, consider your use of proceeds, and if you are repaying debt, factor in any fees and discounts as well as the impact on your interest expense line. Whether you’re well on your way to an IPO or just starting out, know that you can take steps now to streamline your process, build a strong relationship with Wall Street, and avoid unnecessary setbacks. At Westwicke, we have more than 200 years of combined Wall Street experience and have helped 22 companies achieve a successful IPO. To learn more about our approach, download our IPO Guide, and get in touch to learn about our IPO advisory services.